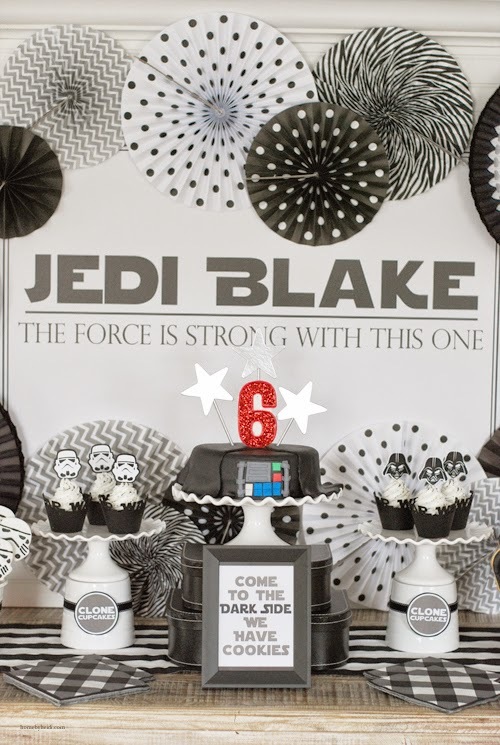 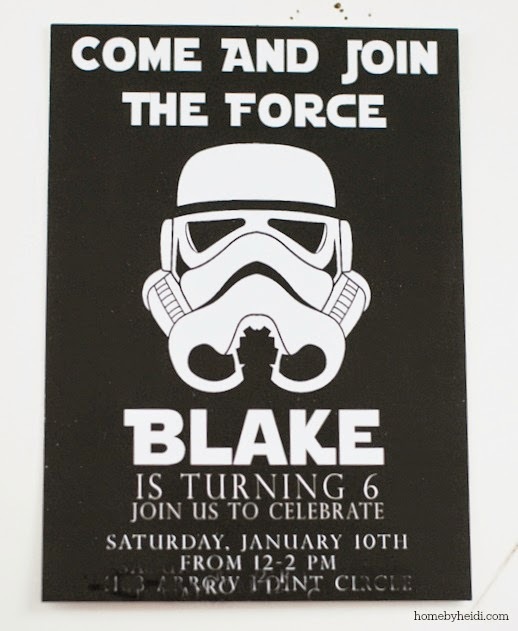 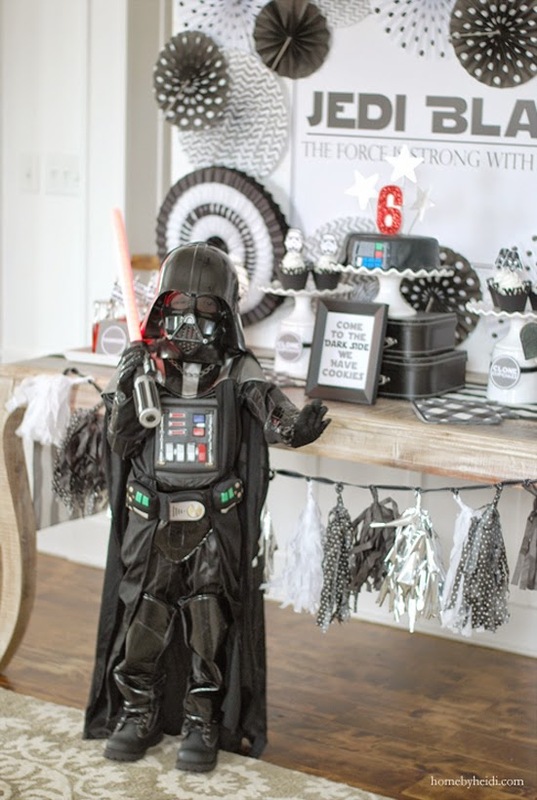 For his 6th Birthday, he wanted a Darth Vader/Star Wars party, of COURSE!!! 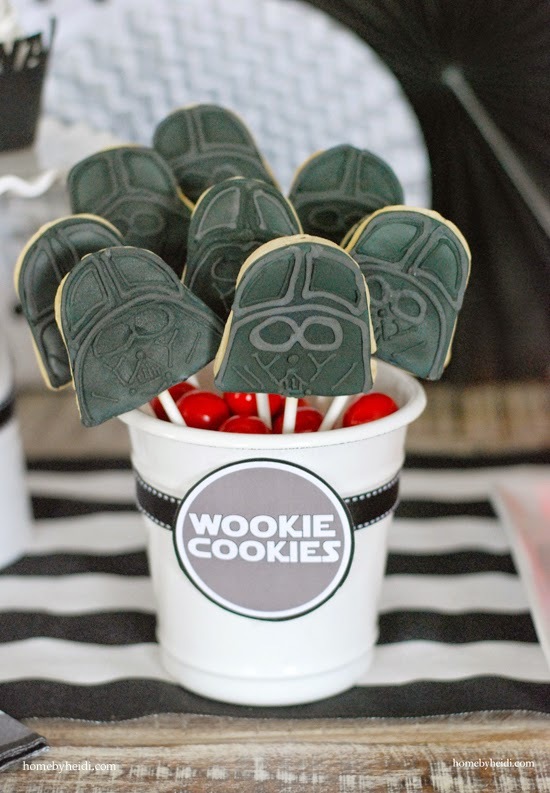 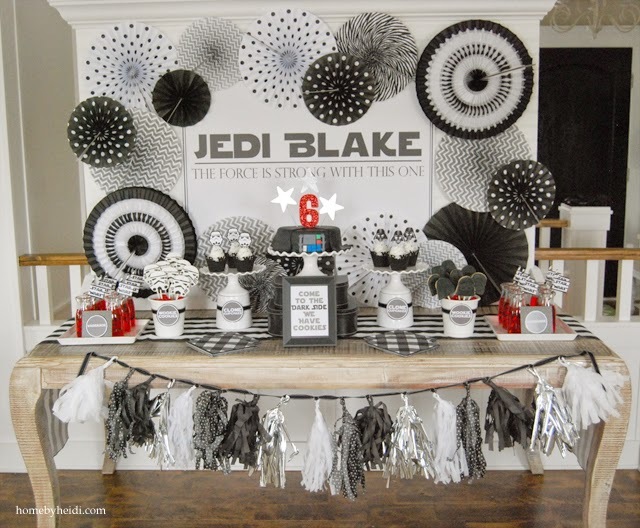 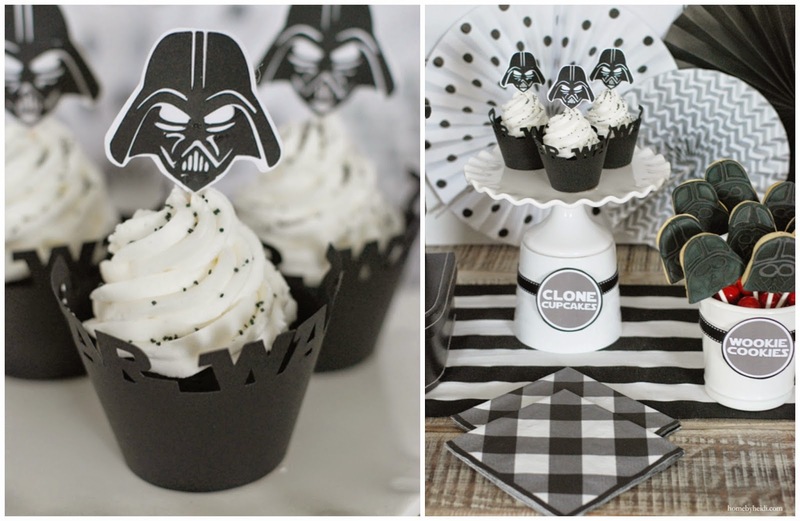 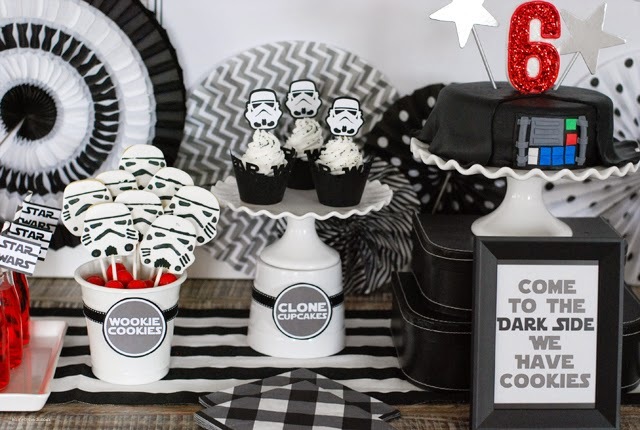 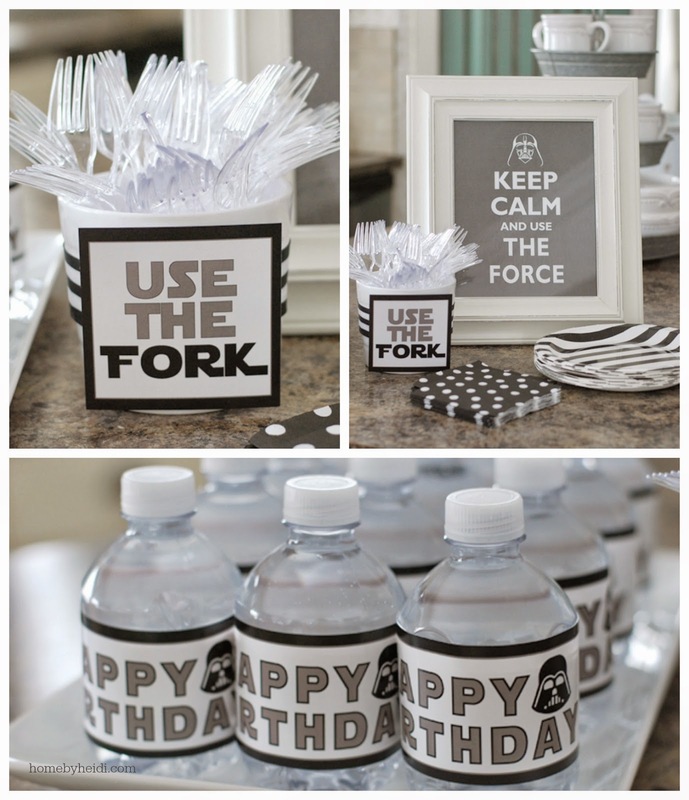 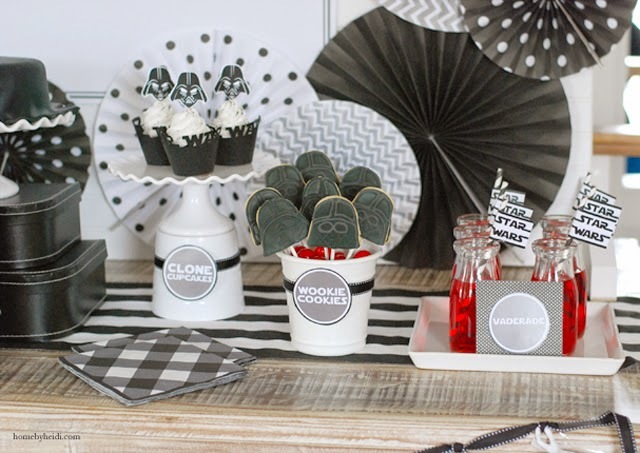 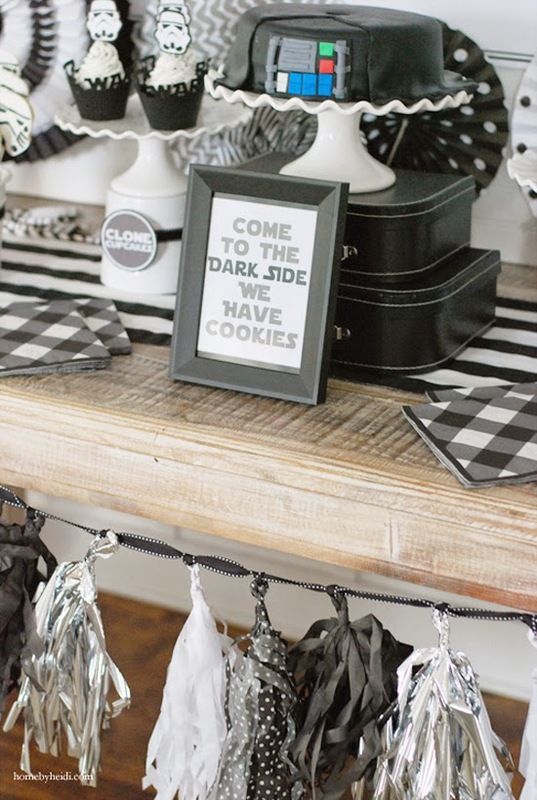 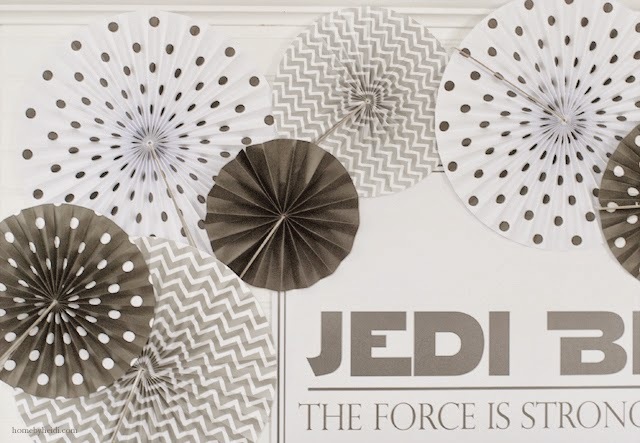 I started off with just a black and white theme but without RED it just didn't feel like a Darth Vader party. 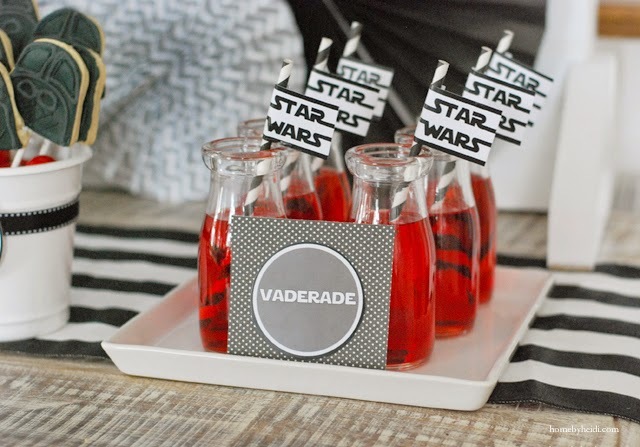 So I added a Custom Cake topper (watch for tutorial soon) splash of Red with gum balls as a filer and Red Vaderade!!! 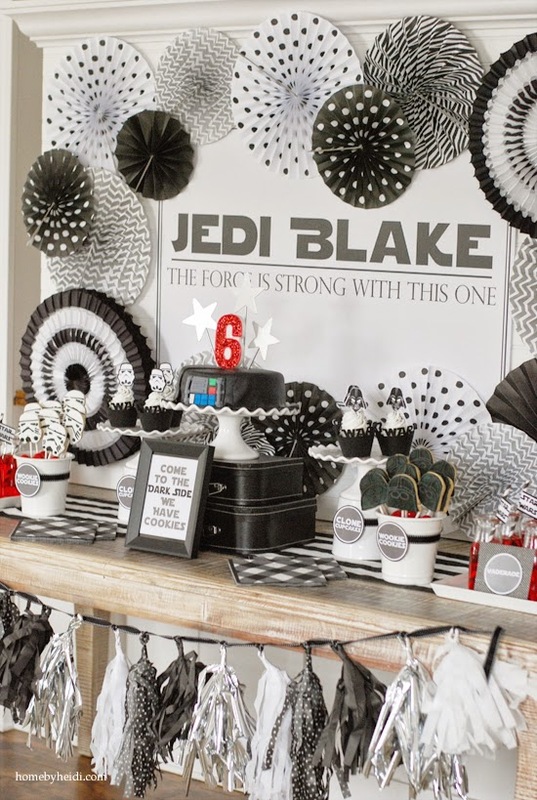 My Tried and True backdrop...See HERE how to build one for yourself!